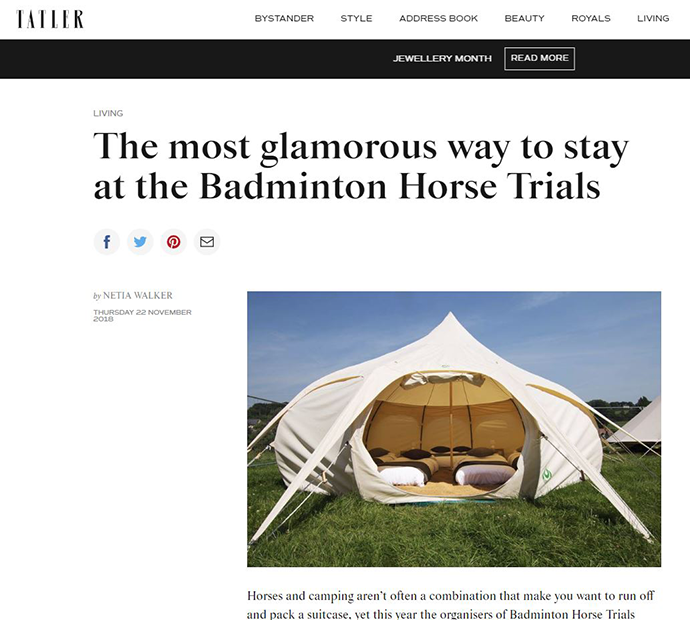 Find out what Tatler, Horse & Hound and other publications have to say about The Badminton Retreat…. The excitement is building already, and Tatler’s Netia Walker has dubbed The Retreat as ‘The most glamorous way to stay at the Badminton Horse Trials’. Click to read the full article. 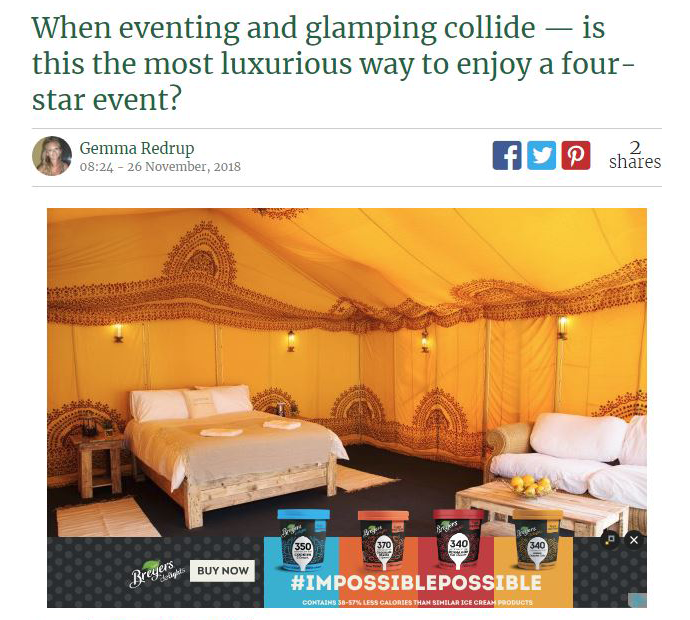 Gemma Redrup of Horse & Hound magazine asks if glamping could be the most luxurious way to enjoy a 4 star event? We may be a little biased but we’d have to say a big YES! Click to read the full article. It seems the official organisers of Badminton Horse Trials are getting ready for a prestigious 70th anniversary year with the addition of our luxury glamping site. Click to read the full article. 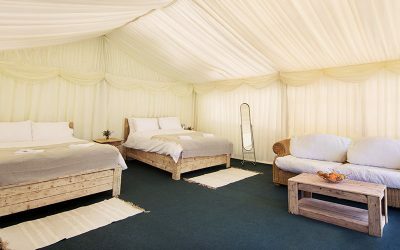 Luxury Glamping at Mitsubishi Motors Badminton Horse Trials 2019. Celebrate Badminton’s 70th Anniversary in Style! 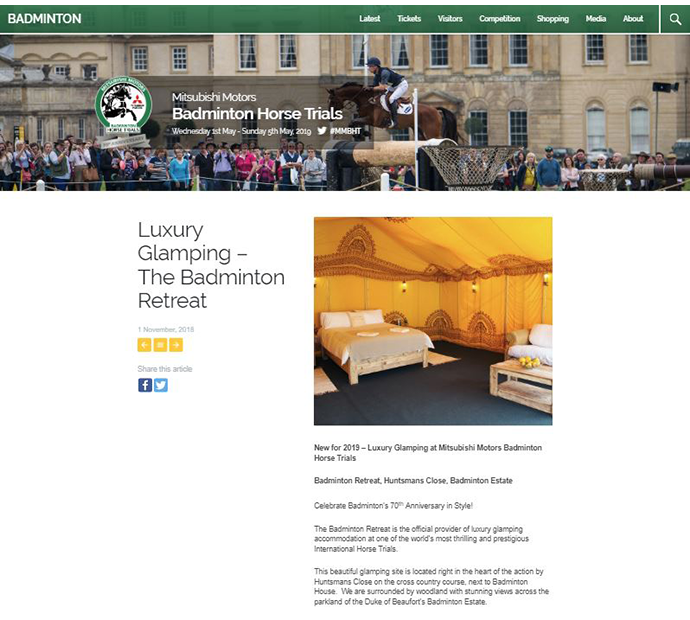 Stay at The Badminton Retreat – the official provider of luxury glamping accommodation at one of the world’s . . .
Glamping provides the perfect opportunity to relax and immerse yourself in the spirit of Badminton. Anticipate the thrill of tomorrow’s events whilst sleeping under the stars. Are you bringing children to The Retreat? We have a special menu in our restaurant just for our younger guests. The map of the 2019 cross country course is here and there we are right by the Huntsman Avenue entrance.  The 70th Badminton Horse Trials is just weeks away, download the map and take a look at what we have to offer you to make this years event extra special. We provide a buggy service to transport you to the heart of the shopping village. This is just one of the perks of staying with us during the 70th Badminton Horse Trials, take a look at what else we can offer you. 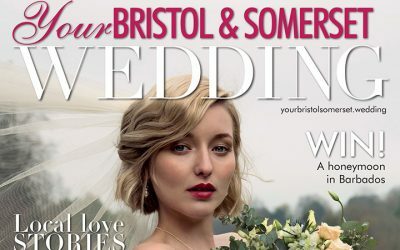 From time to time we send out news and information about our services, Badminton Horse Trials and fun stuff relating to it. If you’d like to be kept up to date, please subscribe to our mailing list. We promise not to bombard your inbox with junk and anything we post you will be Badminton related. Please note, by clicking subscribe you will be directed to our sign up form on Mailchimp.